Web-based SCADA monitoring software from High Tide Technologies is available to customers who have our hardware units. Similar to most industry-standard “Human Machine Interface” software, our website can be accessed on any Internet-enabled computer or mobile device by multiple users from different locations. Whether your remote terminal units (RTUs) are connected via cellular, satellite, or Ethernet, our software can help you easily monitor & control the performance of your system. Our SCADA monitoring software makes your data available whenever you need it — whether you are in the office, out in the field, or on vacation. 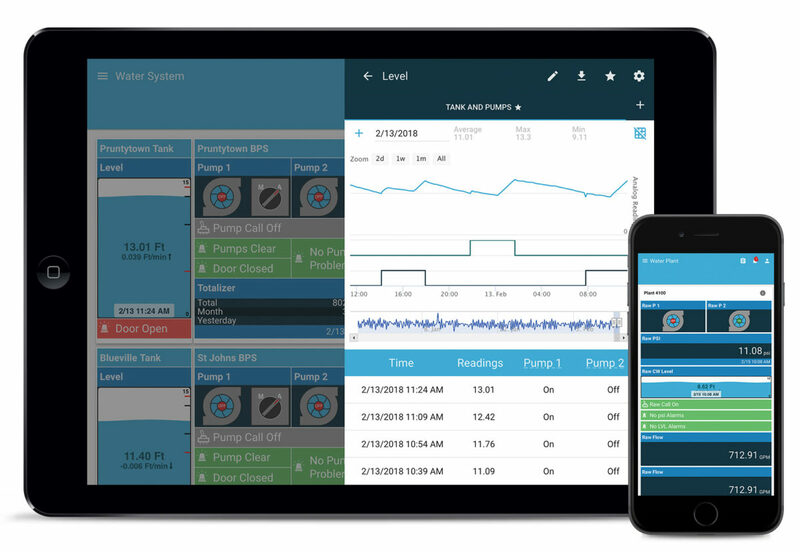 Via a simple modular user-interface, the High Tide Technologies SCADA software provides the current status of pumps, alarm state of pumps, wet well levels and high float statuses. The software has excellent and easy-to-use graphing tools to analyze all of the monitoring points you need. You can also program alarms via text and voice to cell phones and email directly on the website. Before using a cloud-based SCADA system, we could only address a problem after it started. With High Tide, we were notified before anything happened and before one of our stations overflowed. [With our previous system] we wouldn’t have known about it until the next day. It would have been a catastrophe for us. With High Tide, we caught it. The HTT units are very good products. They are a lot more advanced than others, and it’s saved us a lot. 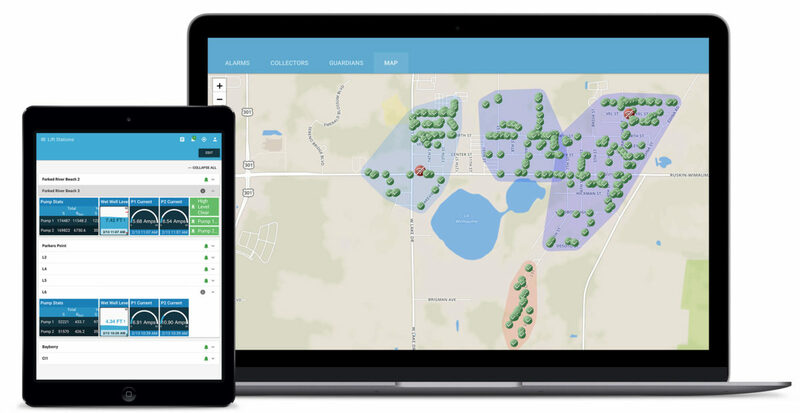 Before we installed the cloud SCADA system for our water distribution network, we relied heavily on the past experience of our operators to predict where our leaks were occurring. A call would come in saying someone was out of water, and we might spend hours trying to pinpoint where the problem was occurring. Now we get a notification via text message when a tank begins to drop unexpectedly, for example, and can respond and correct the issue long before the customer ever knows there is a problem. When [my customer] wants to take a pump out for any type of services, he’s keeping a historical log of those pump stations. He knows he has access to that information whether at a desktop or in his pocket. The experience has been great not only with the support High Tide gives the end user, but also the support High Tide gives us, the representative.